This hotel is on the picturesque island of Lidingo, 8 km from central Stockholm. It offers free Wi-Fi and parking and convenient access to public transport. All rooms have a 32-inch flat-screen TV.Set in a former tram depot, Ariston Hotell rooms feature large beds and a refrigerator, plus a seating area and work desk. Some rooms also include a balcony.Breakfast is served from 06:00 on weekdays. 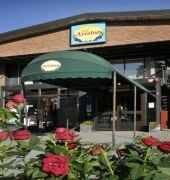 A variety of restaurants and shops can be found in Lidingos centre, a 15-minute walk from Ariston. 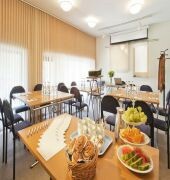 Guests can enjoy discounted rates at the Friskis and Svettis Gym, which is situated in the same building.